Contemporary dentists can ensure your braces stay discreet. At Weybridge Orthodontics, we use innovative dental appliances that remain hidden in your mouth while they improve your dental positioning. If you’re hoping to quietly improve the position of your teeth in Weybridge, Incognito might be the ideal treatment. This modern set of wire-and-bracket braces has a user-friendly feature: we attach it to the backs of your teeth. This minimises the potential embarrassment caused by traditional, highly visible braces affixed to the front of your teeth. 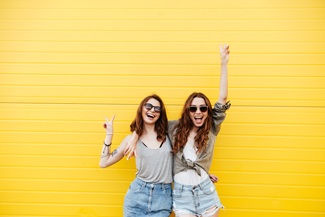 We can use Incognito in Weybridge to improve a wide variety of conditions, including crowded smiles, crooked teeth, and misaligned bites. After treatment, you’ll notice an obvious cosmetic enhancement. This can lead to increased social confidence. Plus, with straighter teeth your mouth will be easier to keep clean. This is because there’ll be fewer awkward spaces in your mouth where bacteria can hide from your toothbrush. Your teeth will all be working together more effectively. To assess whether Incognito in Weybridge is the right way forward for you, we’ll invite you into our dental practice for an in-depth consultation. We’ll take some detailed pictures of your teeth and produce a finely-honed treatment plan. Once we’ve attached your braces to the backs of your teeth, you might need 12 months or longer for the treatment to achieve its target. Complex cases tend to need longer. We’ll always let you know how long your treatment will take before it begins. Your braces will remain inconspicuous as they gently pressure your teeth into better, straighter positions. This helps you to avoid awkward questions and double-takes from strangers and acquaintances at social occasions. The reduced visibility of Incognito in Weybridge is one reason why it’s popular with adults who have customer-facing work roles. You’ll need a bit of patience to complete this contemporary realignment treatment. Once the braces come off, you might need to wear a retainer at night, so the teeth become secure in their new positions. After it’s all over, you’ll be able to enjoy your newly-repositioned teeth for many years. This entry was posted in Incognito on 16th May, 2018 by Weybridge and Kingston. There’s very little chance that braces are ever going to be the next must-have designer accessory for the glamourous; they’ve just got too much history and association with being a gawky teen. But, if you are an adult who’s got some complex problems with your teeth that you need to sort, there is a way to do this without having the full railway junction look on view for a couple of years. If you live in or around Weybridge, Incognito braces from us at Weybridge Orthodontics are a brilliant solution to your problems. Most braces for adults are designed to be as discreet as possible. The ones that are fixed to the front of the teeth have smaller brackets and finer wires. There are also ones that look like mouth guards that snap on over the teeth. Both kinds of discreet braces work really well, as long as you only have mild to moderate alignment issues. They work best on the front teeth only. Anything more than that and you are looking at getting more complex braces, and that’s where Incognito in Weybridge comes in. These braces work like traditional bracket and wire braces, but with a big difference: they are fixed to the inner surfaces of the teeth rather than the outward-facing surfaces. In the dental profession, we refer to them as lingual (tongue-side) braces. If we think Incognito are the right braces for you, we will take detailed measurements of the inner surfaces of all your teeth. These measurements are sent away to a lab where a bracket is custom-made from gold alloy to fit each one of your teeth. This takes about three weeks, so a bit of waiting time is involved. When the braces come back, we fix them onto the insides of your teeth. Having the braces on the inner-facing surfaces can take a bit of getting used to, but you will adjust pretty easily. The length of treatment time will depend on the complexity of your alignment issues, but the great news is that, unless you choose to tell, no one will know you are having your teeth straightened. Incognito in Weybridge makes straightening seem like magic. This entry was posted in Incognito on 27th April, 2018 by Weybridge and Kingston. There’s no denying that, in today’s world, looks are important. If you regularly have to face the public for your job, you have a busy social life or you simply enjoy looking good, then you might be reluctant to improve your smile with braces. At Weybridge Orthodontics, we offer you options when it comes to teeth straightening that mean that you do not have to compromise your look. One of the options we offer is Incognito. In Weybridge, at our clinic, we can check if your teeth alignment issue is suitable for this type of braces. Incognito are lingual braces. This means that they are attached to the backs of your teeth. Once in place, they cannot be seen from the outside. Incognito braces work in the same way as traditional braces and take roughly the same amount of time to work so you do not have to sacrifice efficiency in order to straighten your teeth discreetly. How are Incognito in Weybridge fitted? Incognito are fitted in much the same way as traditional braces. Brackets are fixed to the backs of the teeth and then a wire is threaded through them. It can feel a little awkward during the actual fitting process because the dentist at Weybridge Orthodontics will be working on the backs of your teeth but the whole process should take no more than an hour or two. How do they feel in the mouth? Once you have your Incognito in Weybridge fitted, they are relatively low profile against the teeth so you should get used to the feel of them in your mouth relatively quickly. Like all braces, they can be a little uncomfortable at first. This should settle down within the first few weeks. In the meantime, you can mitigate any discomfort with mild painkillers. Your dentist at Weybridge Orthodontics will advise you on what is normal. We also see you for regular check-ups to ensure that you are happy and comfortable. Some patients find that their speech is temporarily affected when they get Incognito. This fades quickly as the tongue gets used to the presence of new equipment in the mouth. You can talk to your dentist at Weybridge Orthodontics if you are concerned. This entry was posted in Incognito on 20th April, 2018 by Weybridge and Kingston. Here at Weybridge Orthodontics, we strive to fulfil everyone’s needs and preferences when it comes to treatment options. A great option for patients looking to adjust their teeth without the appearance of ugly traditional braces, is Incognito. In Weybridge, Incognito braces are fixed securely behind your teeth, making them completely hidden from view so you can go about your day-to-day routines without having to feel conscious about your teeth. Have you been considering braces here in Weybridge? Incognito lingual braces can be used to treat all the dental alignment issues that traditional braces can treat and should achieve the same great results. The braces hide discreetly on the back of your teeth, not on the front like conventional ‘train tracks’, making them a great choice for anyone wishing to straighten their teeth without drawing attention to the fact that they are having treatment done. Whether your alignment issues are small or more complex, it is likely that you will be able to wear Incognito braces. Of course, the braces are custom-made for each patient to maximise comfort and ensure great results. Do I really need to straighten my wonky teeth? Of course, you don’t have to, however we do recommend it as straight teeth are generally easier to clean. Your oral health will be better when your teeth are in line. Correcting a misaligned bite means you will be able to chew your food properly, eliminating uneven wear or exaggerated wear in points where some teeth are doing all the work. You have less chance of plaque building up between clean straight teeth so your risk of gum disease, tooth loss and cavities will be reduced. Aside from the physical health benefits, there are psychological rewards. If you feel conscious of your wonky teeth, you will probably find that your confidence can be greatly improved when your teeth have been straightened. If you decide to choose Incognito braces in Weybridge, we will use 3D-imaging technology to draw up a complete assessment of your teeth. Using this technology, we can give you an idea of the finished result and predict a relatively accurate treatment time frame. This entry was posted in Incognito on 11th April, 2018 by Weybridge and Kingston. Here at Weybridge Orthodontics, we find that many of our adult patients would love to get their teeth straightened, but they are not so keen on the idea of wearing braces that are going to invite stares and comments. After all, they are not teenagers, and are often in responsible, public-facing jobs that do not invite personal comments. The dentistry world is well aware of this and over the last couple of decades has come up with some ingenious ways to make braces more discreet, and sometimes even pretty much invisible. However, most of these are only good for mild to moderate misalignments and will not work on severe or complex cases. However, in Weybridge, Incognito braces are a great solution to the problem of wanting discreet straightening for complex misalignments here at Weybridge Orthodontics, a dental clinic that focusses on teeth straightening. The clever thing about Incognito braces is that they are fixed onto the insides of the teeth, rather than on the front. Hidden away behind the teeth, people cannot see them, and will not know you are wearing braces unless you wish them to. In Weybridge, Incognito braces are the only braces system where each bracket is customised to the size and shape of each of your teeth. The arch-wires and bonding trays are also made to your measurements so that they are comfortable to wear while delivering targeted results. With Incognito braces tucked away behind your teeth, you can carry on with your daily business without the self-consciousness that comes with other kinds of braces. Also, because they are permanently fixed to your teeth, they won’t get lost or broken. When you come to us at Weybridge Orthodontics for a consultation, we use 3D imaging technology to show you how your teeth will look after treatment. We will also make a detailed and thorough examination of your mouth and teeth, taking precise and detailed measurements to ensure that your braces are a comfortable design and fit. Why not book a consultation for Incognito in Weybridge with us today? This entry was posted in Incognito on 23rd March, 2018 by Weybridge and Kingston. Here at Weybridge Orthodontics, we are excited to be able to offer adults and teenagers an alternative to traditional metal braces, with hidden lingual braces. Adults and teenagers alike will sometimes avoid much needed orthodontic treatment because they find traditional metal braces unattractive, distracting, or they feel they make them look childish. Say goodbye to these views with Incognito in Weybridge. You can achieve the same results as traditional braces with a hidden treatment apparatus on the tongue-side of your teeth. Incognito lingual braces can achieve the same results as traditional orthodontics in a manner that is inconspicuous and undetectable. By discreetly attaching the braces to the back of the teeth, we can help you achieve healthy, straight, beautiful-looking teeth. Our patients love Incognito lingual braces because they are invisible when they smile, allowing them to share their beautiful smiles with confidence during and after treatment. While Invisalign aligners also offer similar cosmetic benefits, Incognito braces are always on and always working toward giving you the results you need and want. If you are an athlete, a musician who plays a wind instrument, or a patient who is not a candidate for Invisalign but wish to have a more discreet orthodontic treatment option, Incognito in Weybridge could be just what you have been looking for. Am I a candidate for Incognito in Weybridge? After an initial consultation and evaluation at Weybridge Orthodontics, we can determine if lingual braces are the best method for straightening your teeth. Once we have determined that you are an ideal candidate for lingual braces, we will take impressions of your teeth, which are then sent to a lab for custom-made brackets and wires. The braces will then be bonded behind your teeth for effective, but discreet, treatment. Periodic visits to see us during treatment will give us an opportunity to monitor your progress and make any necessary adjustments to optimise your final results. Don’t delay orthodontic treatment because you are worried about how braces will affect how you look; Incognito in Weybridge will give you a discreet option you can trust. This entry was posted in Incognito on 14th March, 2018 by Weybridge and Kingston. Incognito braces are known as lingual braces and they are as unique as our patients who wear them. 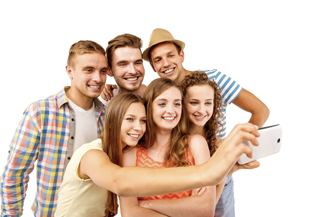 The Incognito braces system is a new generation of orthodontic braces for both teens and adults alike. Incognito in Weybridge is the only fully customised, hidden braces, fixed appliance system available on the market now, making them very appealing to many of our patients who want a straighter smile without the stigma of traditional fixed metal braces. Because no two people are alike, no two sets of incognito lingual appliances are alike either, and since lingual braces are placed behind your teeth, no one will know that you are wearing braces unless you choose to tell them. These unique braces are created using state-of-the-art technology and are 100% customised to the shape of your teeth and to your personal dental situation. They have the unique prescription that your orthodontist here at Weybridge Orthodontics will create in order for you to get the results you want. You get efficient, effective tooth movement along with great aesthetics with Incognito in Weybridge. Can I benefit from Incognito in Weybridge? The Incognito system has been used to treat men and women ranging from the age of 13 to retirement. Most people who can be treated with traditional braces can also be treated with lingual braces. A large portion of our patients who choose Incognito braces are adults, as the subtle approach and aesthetics used during the treatment process suits a busy lifestyle and the need for treatment to be discreet. The system is also suitable for our patients who want a 100% customised braces treatment. Incognito is also known for its predictable treatment outcome, making it more appealing than a lot of other teeth straightening options. Incognito in Weybridge also has the additional bonus that the whole process avoids any damage to the front surfaces of the teeth, which adds hugely to the aesthetic appeal of Incognito braces at Weybridge Orthodontics. If this sounds like the teeth straightening procedure for you, give us a call today and your new dream smile could be closer thank you think with Incognito in Weybridge. This entry was posted in Incognito on 23rd February, 2018 by Weybridge and Kingston. 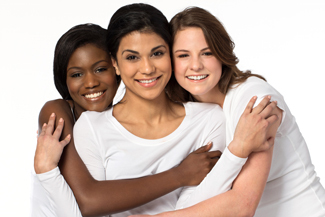 Demand for teeth straightening treatments has risen steadily in recent years in the UK. Because of this surge in demand, new treatments have been developed to fit more easily into patients’ lifestyles. New materials and technologies have been applied to the area of teeth straightening to make much more comfortable, inconspicuous and efficient treatments. Here at Weybridge Orthodontics, Incognito treatments can effectively straighten your teeth without you having to live with a mouth full of visible metal, like with traditional braces. One of the main reasons adults may have been deterred from straightening their teeth is the appearance that comes along with fixed braces. Often associated with teens, professional people don’t want their lifestyles to be disrupted by wearing a mouth full of metal. Incognito in Weybridge: how does it work? Incognito is the modern and invisible alternative to traditional braces. In Weybridge, Incognito works on the same principles as traditional braces, but as lingual braces, they are fitted to the back, rather than the front, of the teeth. This means that no one will notice them unless you tell them they are there. Each set of braces is custom made to fit your teeth exactly. This makes for a higher level of comfort and efficiency than can be offered by traditional braces. Each patient has an individual treatment plan to fit their needs. Once the braces are fitted they will be constantly working to achieve the results you want. Unlike some other invisible brace systems, such as Invisalign, you don’t have to worry about removing them for eating, drinking and cleaning. In Weybridge: Incognito or Invisalign? Invisalign is another form of discreet braces that are increasingly popular – more than four million patients worldwide. Invisalign uses custom-moulded clear plastic aligners that fit over the teeth and adjust their position over time. The choice you make depends on the condition of your teeth and in what way they are misaligned. For example, Invisalign is often considered as a cosmetic treatment as the adjustments that it can make are less significant from a health standpoint than traditional and lingual braces. A great first step is to drop into the surgery and talk to our dentist to discuss your options in more detail. This entry was posted in Incognito on 14th February, 2018 by Weybridge and Kingston. Increasingly, at Weybridge Orthodontics, we have adults coming in to see us to find out if there is a way they can get their teeth straightened without having to go for the railway siding look. Having train track braces does, it’s true, tend to lead to a bit of an onslaught of personal comments and questions, however well meant. Here in Weybridge, Incognito is proving to be a great solution if you are looking to keep your dental treatment private. We include Incognito amongst the wide range of straightening systems that we offer because these braces are incredibly discreet but still able to resolve pretty complex alignment issues. You can find out all about them by coming for a consultation, but here are some basics to whet your appetite. Incognito in Weybridge is the only system that puts the braces onto the insides of the teeth, rather than on the front. Cleverly positioning the braces behind the teeth hides them from the casual observer, and no one will know you are wearing braces unless you wish them to. Incognito braces are the only braces system to be 100% customised to fit your teeth and dental requirements. Each bracket is custom-made to hug the lingual (tongue) side of your teeth, and there is a bracket on each tooth. The arch wires and bonding trays are also made to your measurements and needs, making them comfortable to wear while delivering targeted results. When you come to us at Weybridge Orthodontics for a consultation, we will make a detailed and thorough examination of your mouth and teeth, taking precise and detailed measurements to ensure that your braces are a comfortable design and fit. We also use 3D imaging technology to show you how your teeth will look after treatment. Right now, in Weybridge, Incognito consultations are on special offer at Weybridge Orthodontics, for just £45. And, if you make the decision to take up the treatment, and then refer a friend to us for treatment, we will give you £25. Why not give us a call today and make an appointment? This entry was posted in Incognito on 17th January, 2018 by Weybridge and Kingston.